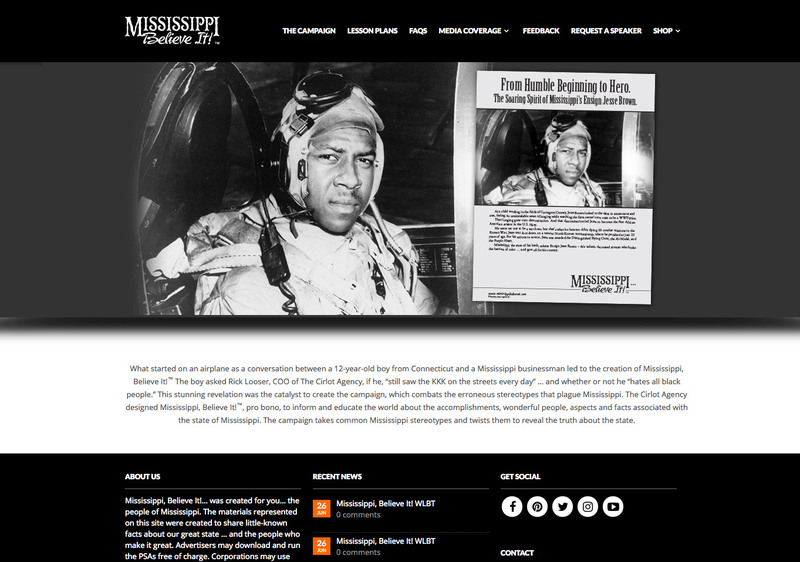 What started on an airplane as a conversation between a 12-year-old boy from Connecticut and a Mississippi businessman led to the creation of Mississippi, Believe It!™ The boy asked Rick Looser, COO of The Cirlot Agency, if he, “still saw the KKK on the streets every day” … and whether or not he “hates all black people.” This stunning revelation was the catalyst to creating the campaign, which combats the erroneous stereotypes that plague Mississippi. 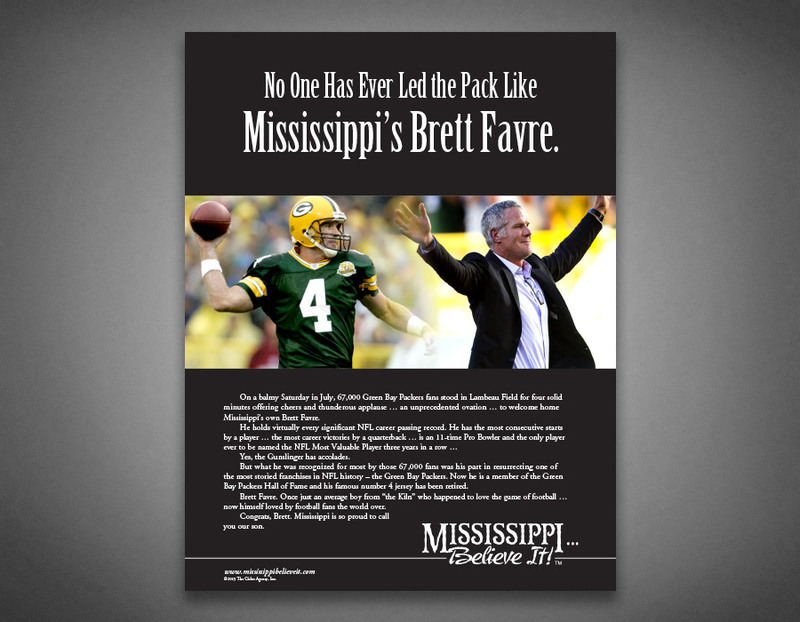 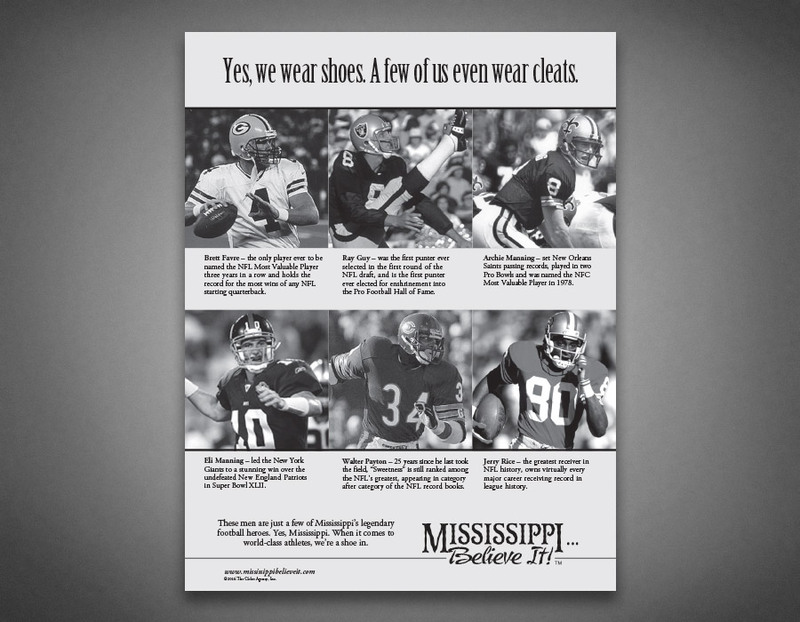 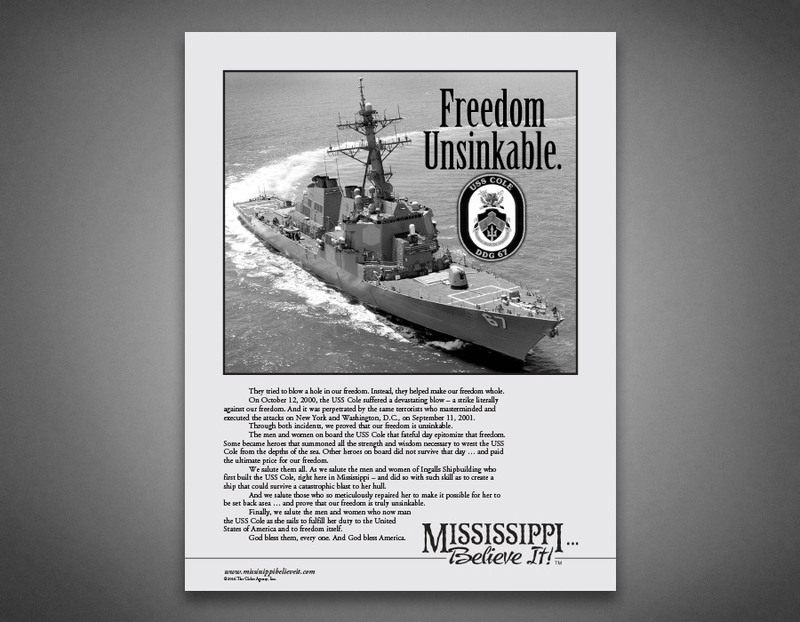 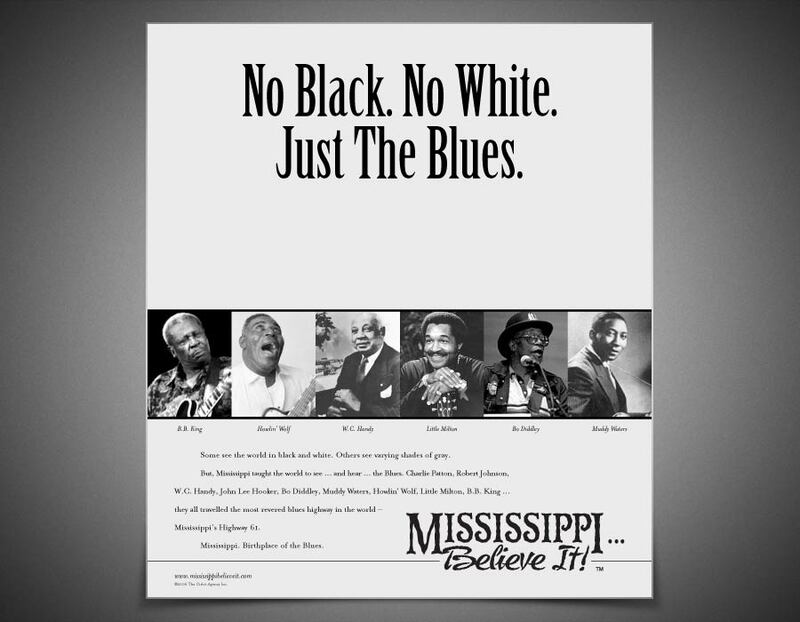 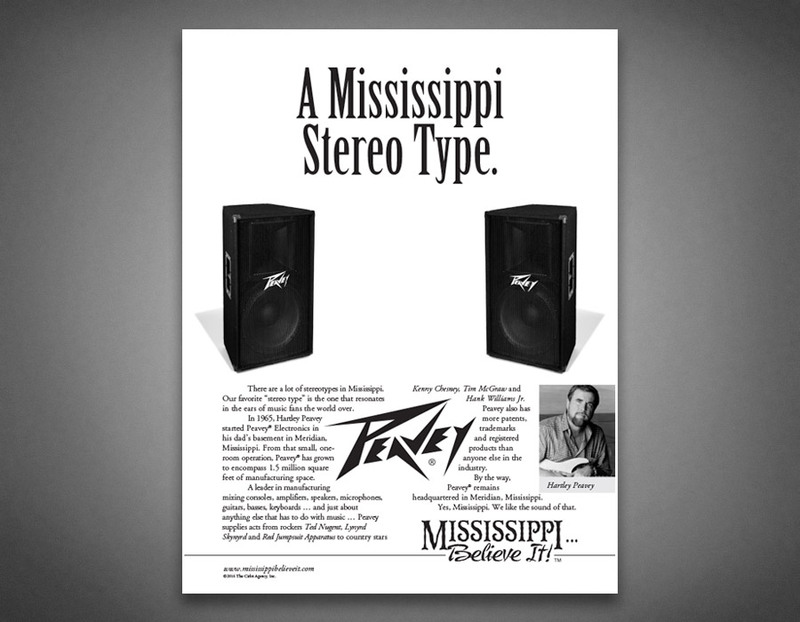 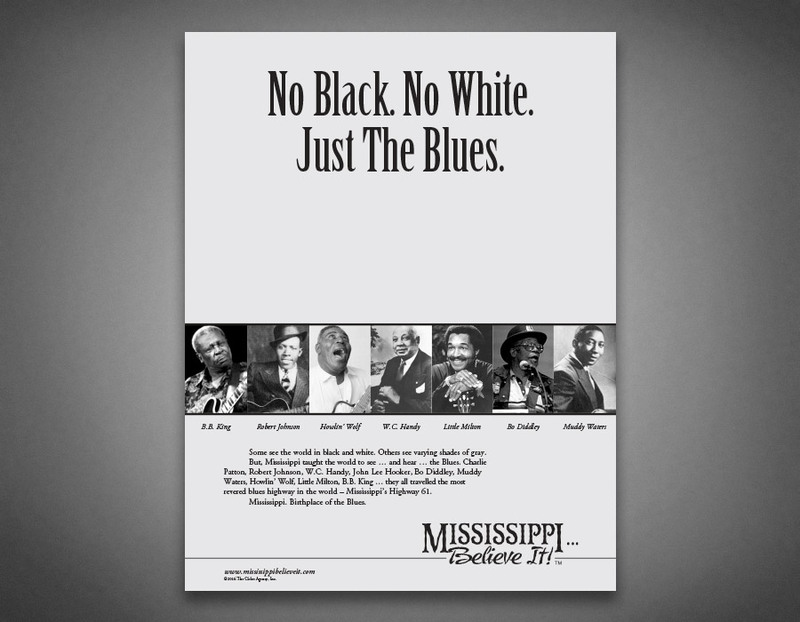 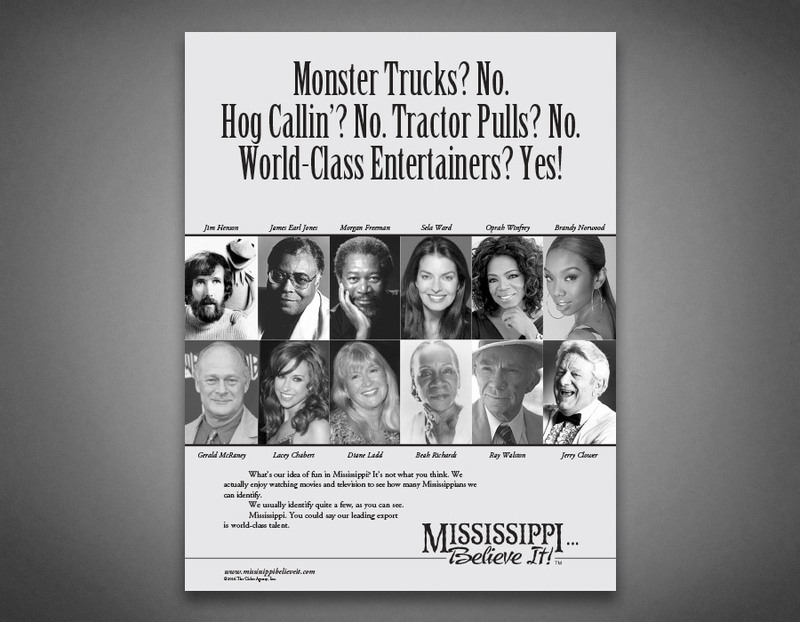 The campaign takes common Mississippi stereotypes and twists them to reveal the truth about the state. 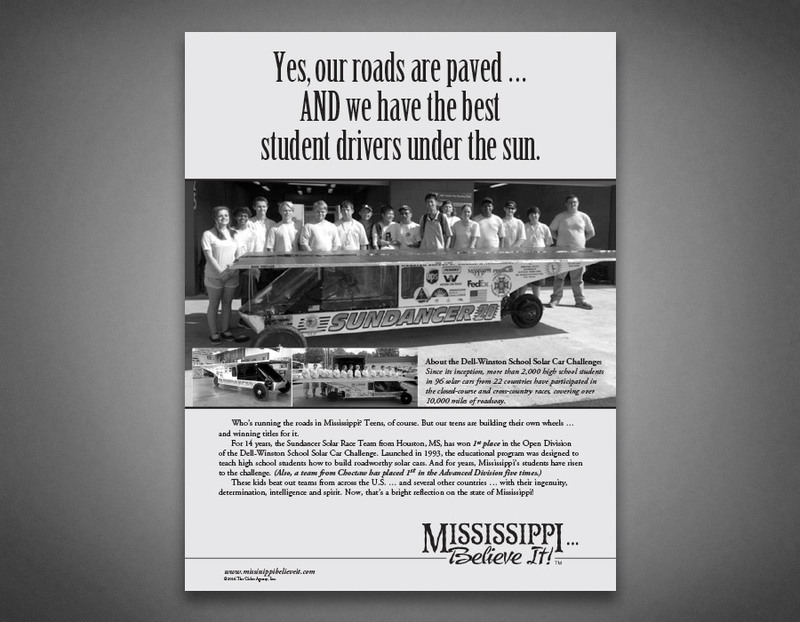 The Agency sent a set of posters, 17 total, to every public and private K-12 school and every college and university. 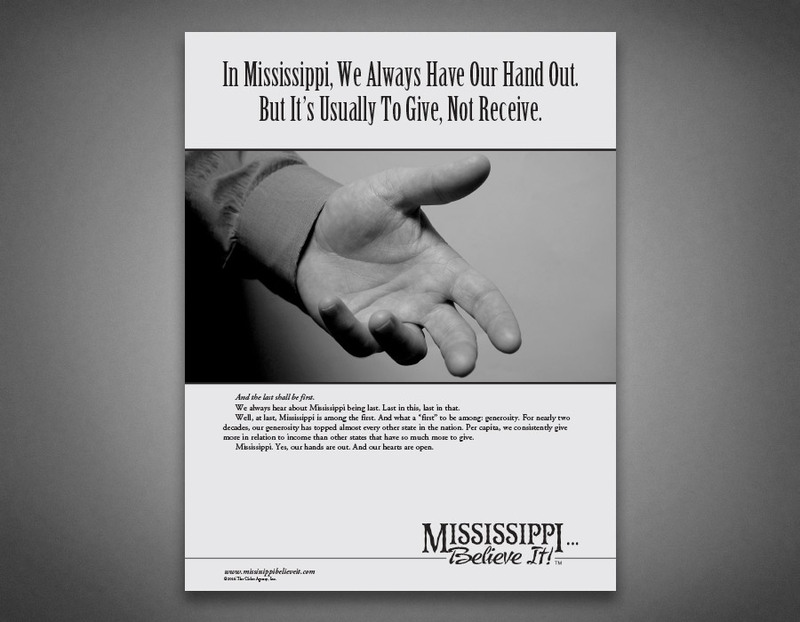 Service Printers of Flowood, Miss., donated the printing of the posters for the schools. 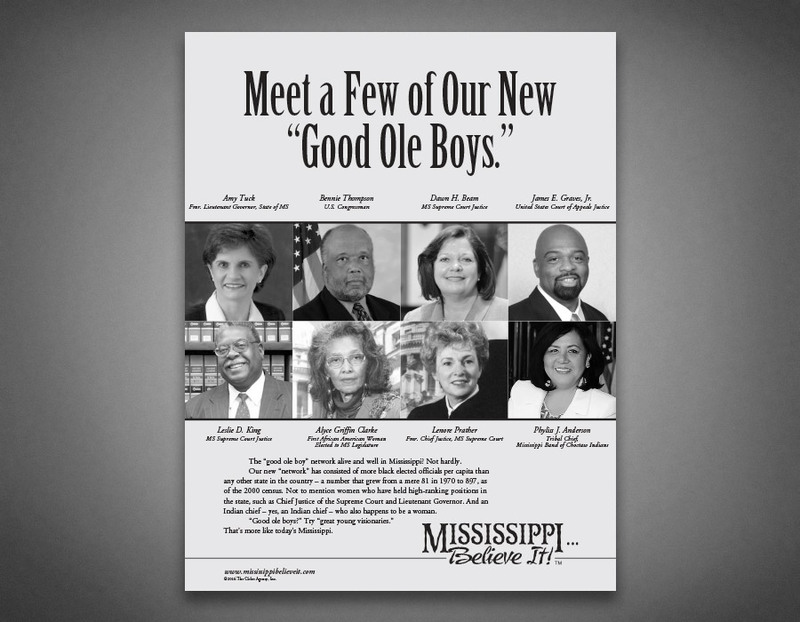 The campaign also includes a website that houses the posters in a downloadable format. 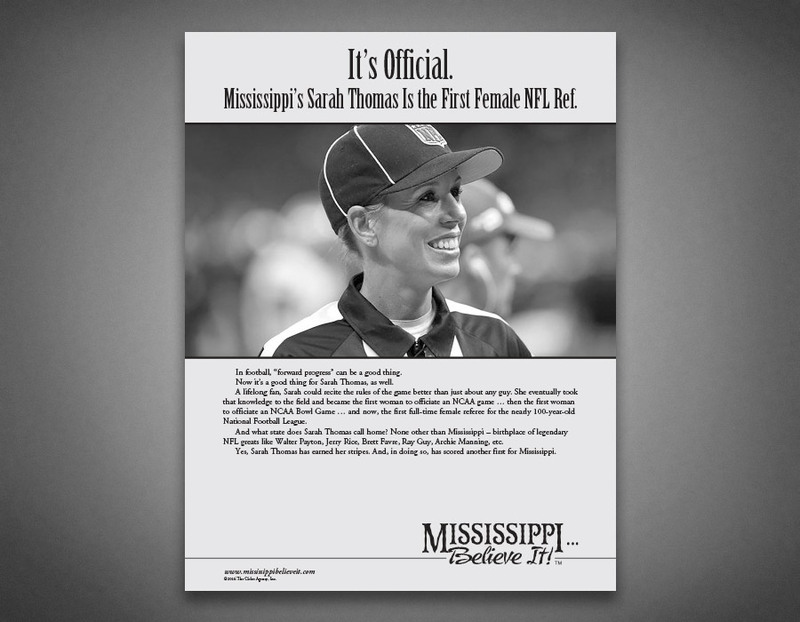 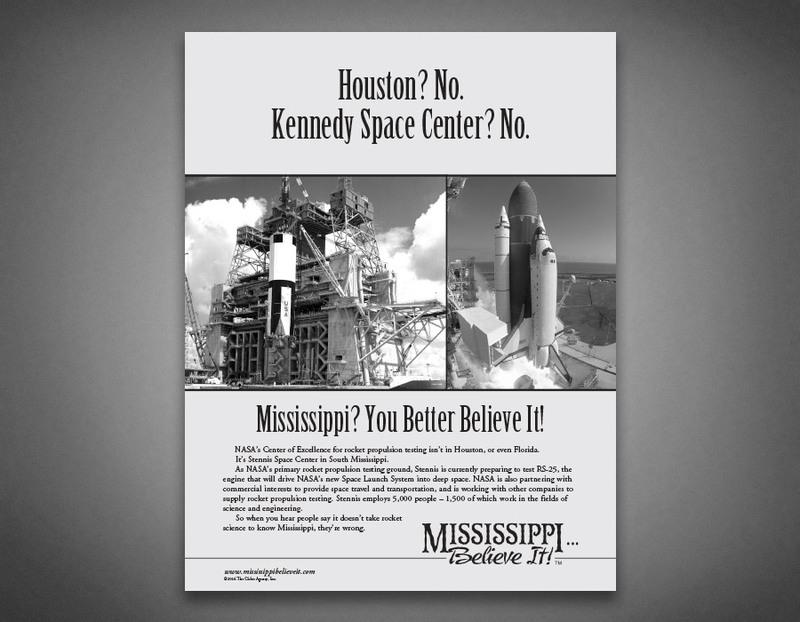 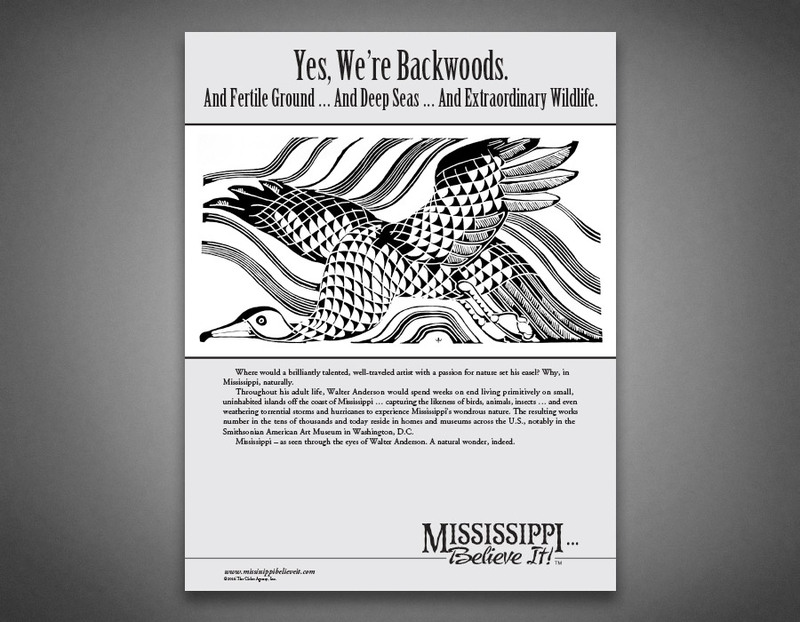 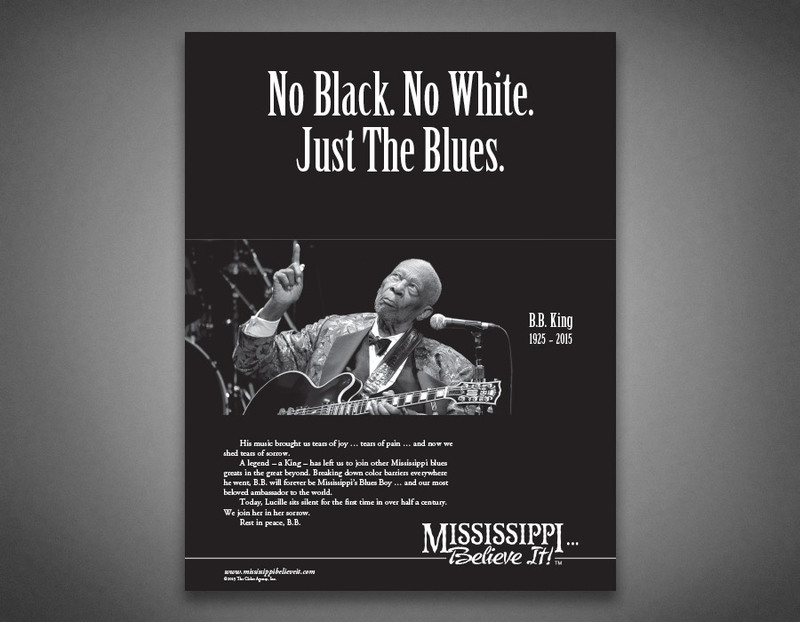 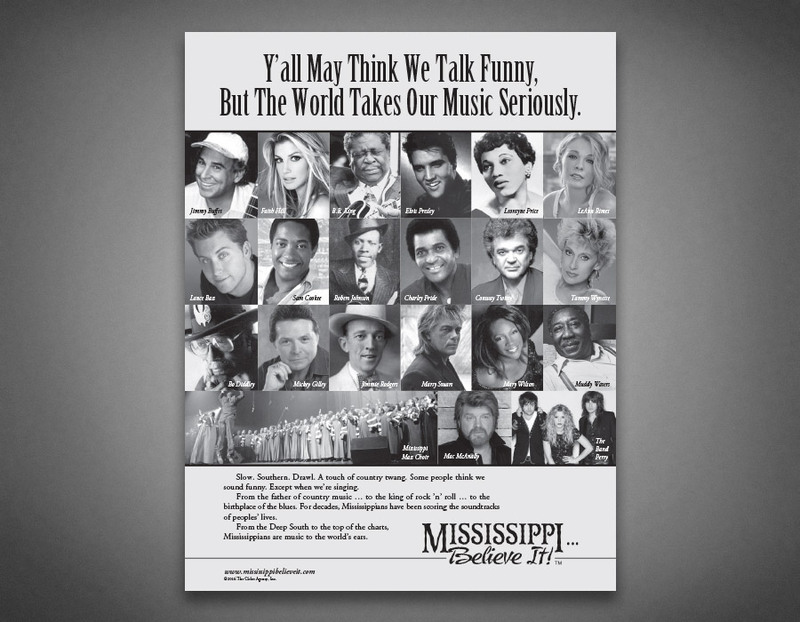 An online store at www.MississippiBelieveIt.com features merchandise, such as t-shirts and coffee mugs, which further spread the message. 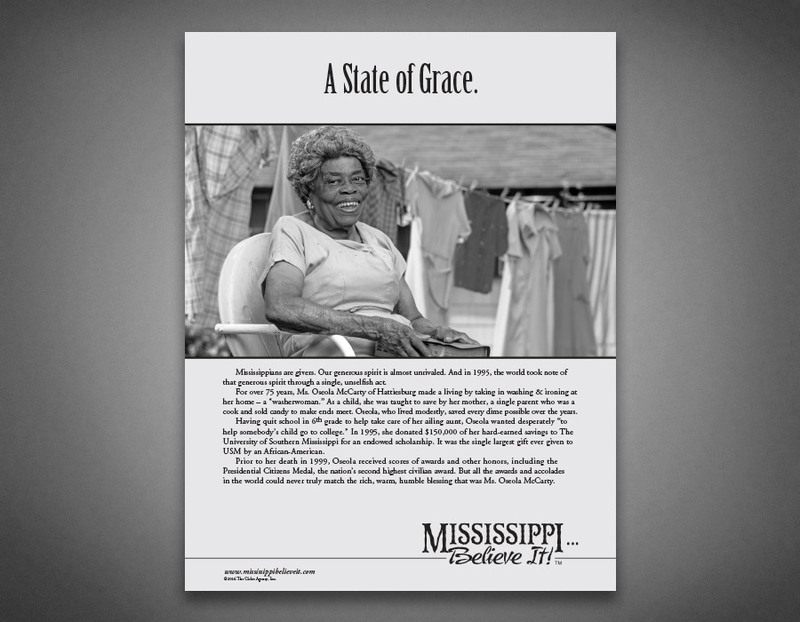 The campaign has received attention from people all over the United States and abroad. 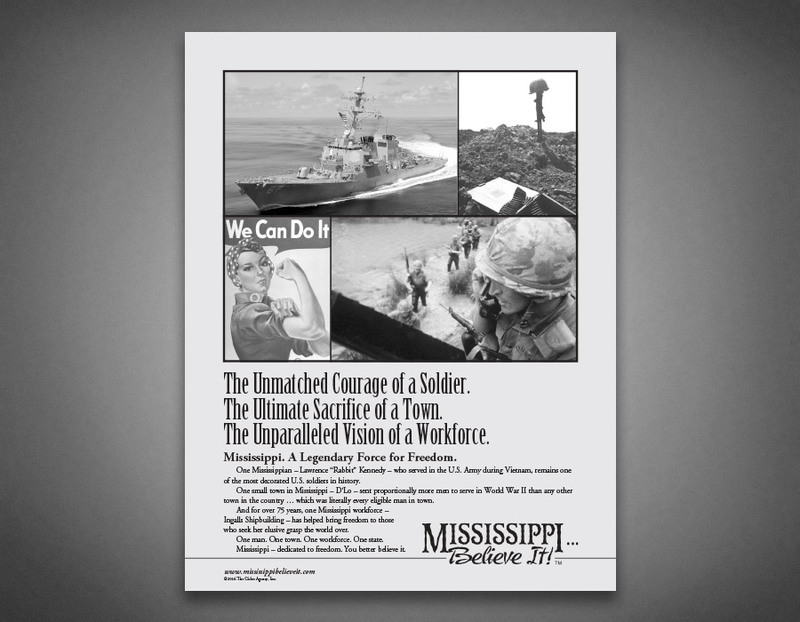 The campaign was featured in publications such as The New York Times, USA Today, U.S.News & World Report and the International Herald Tribune. 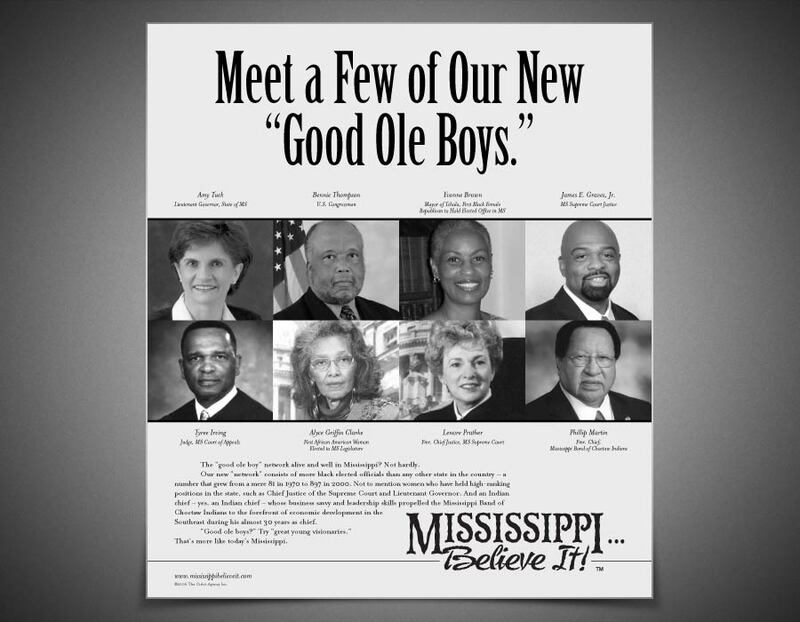 NBC’s Today Show, National Public Radio, Fox News Radio and numerous talk radio shows across the country have also featured the campaign. 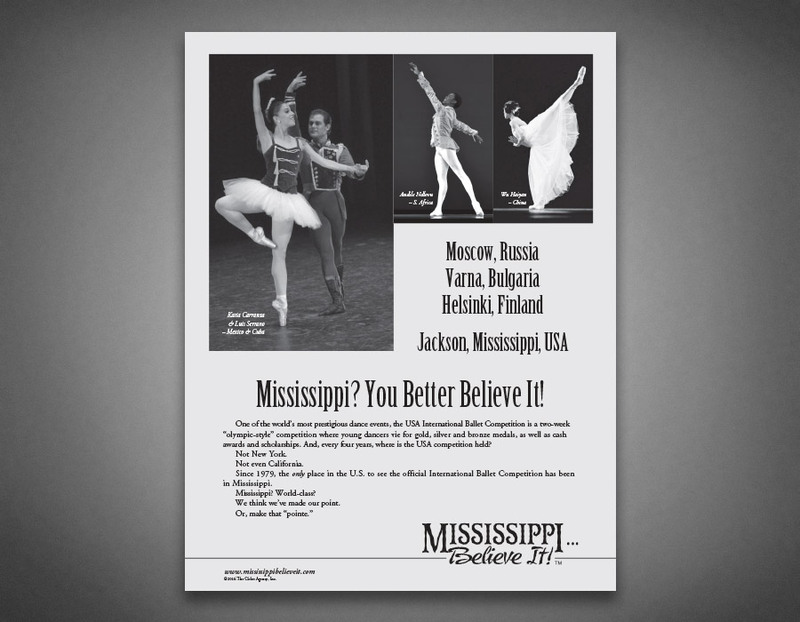 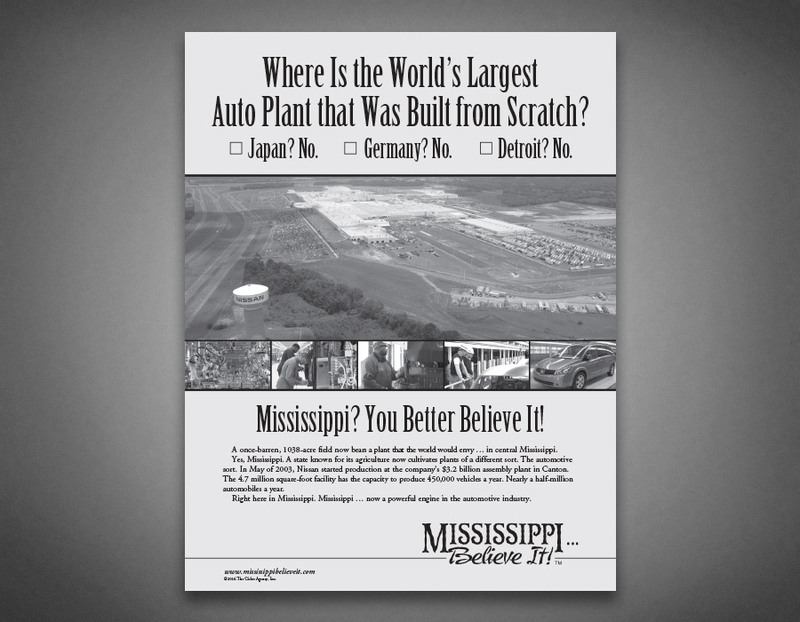 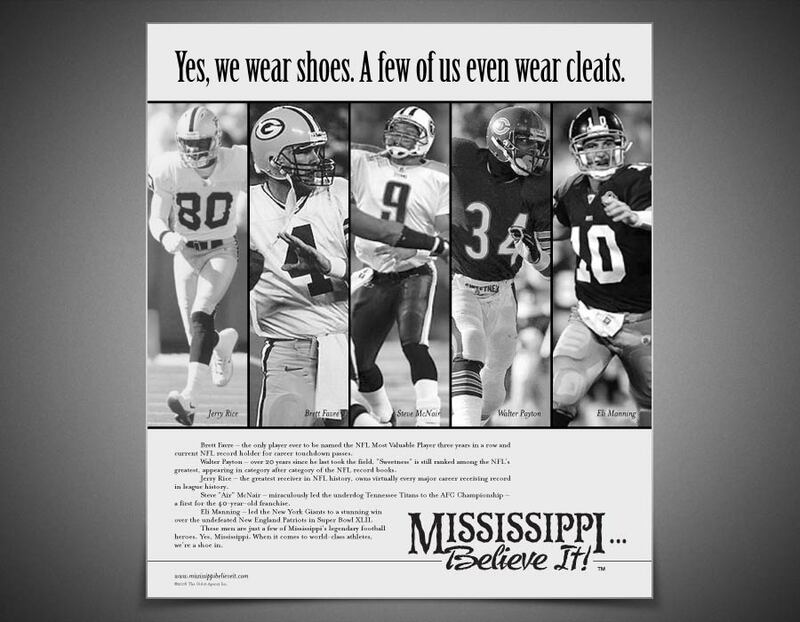 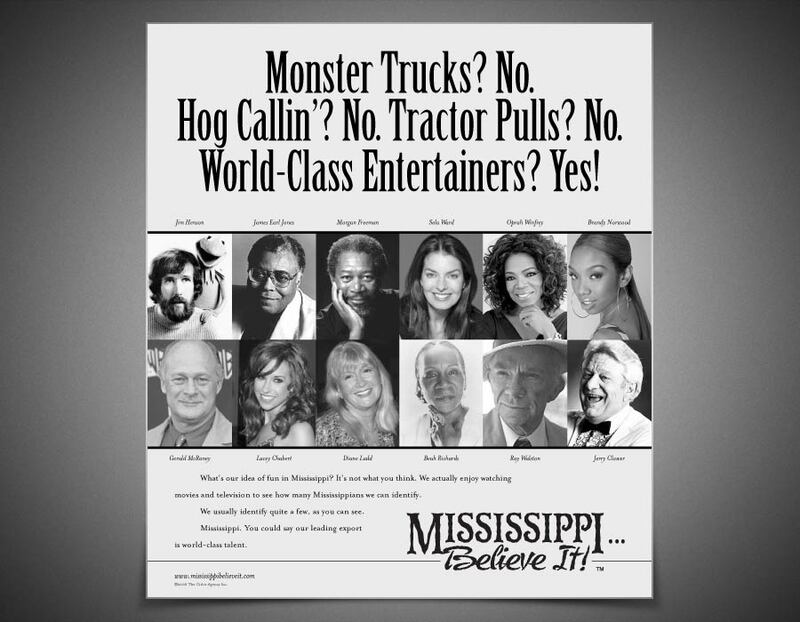 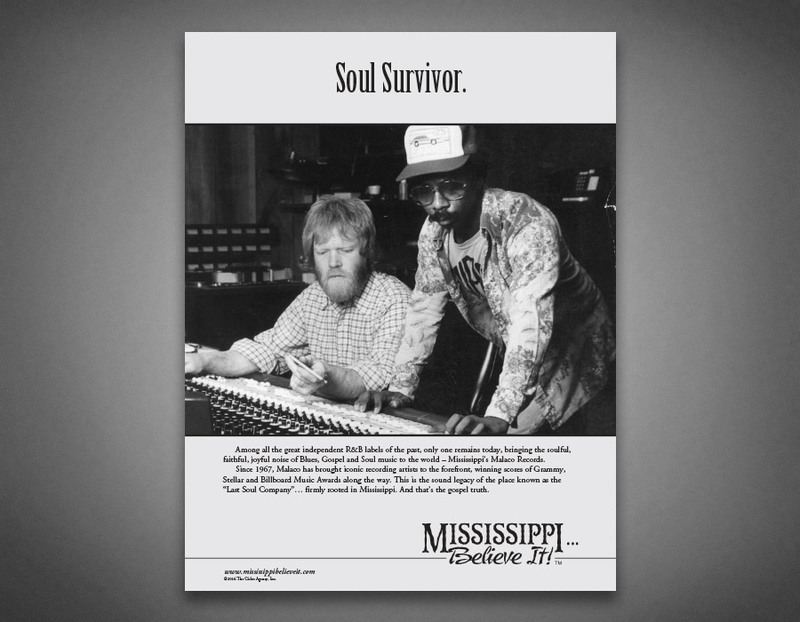 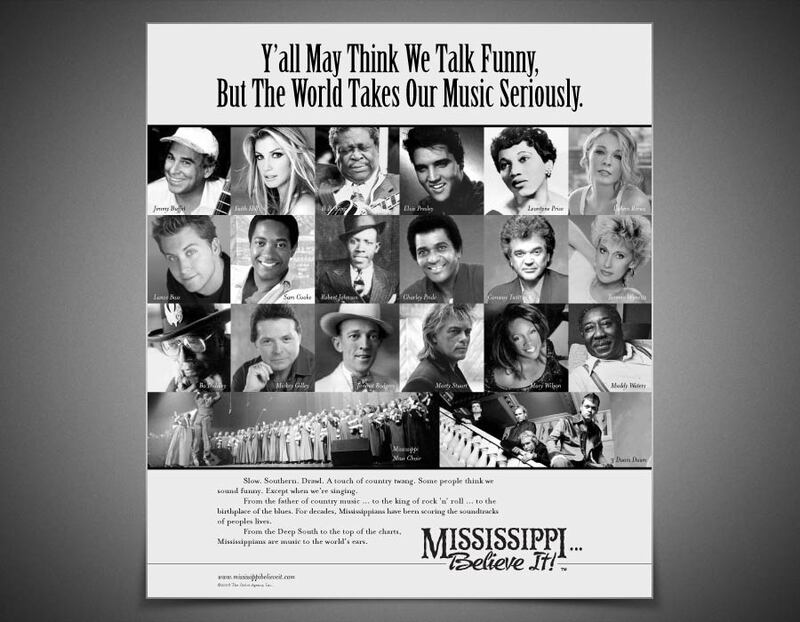 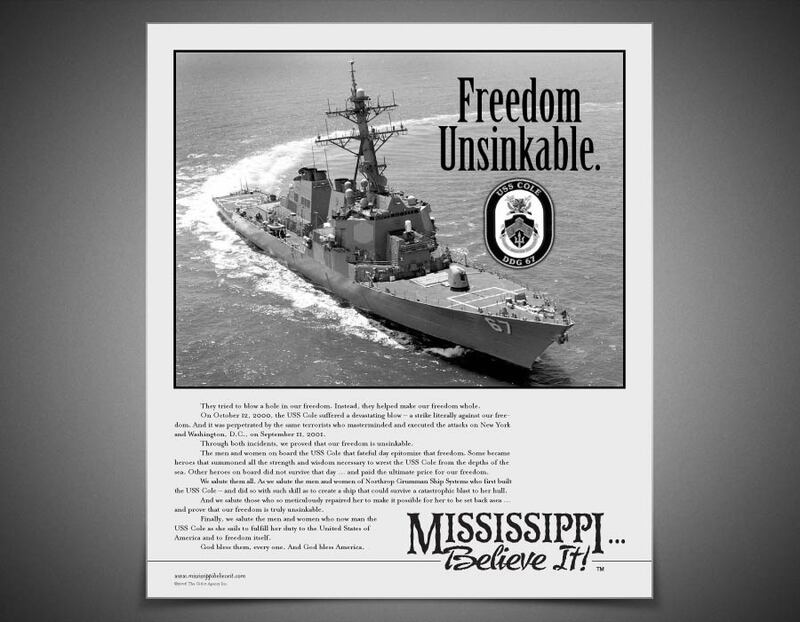 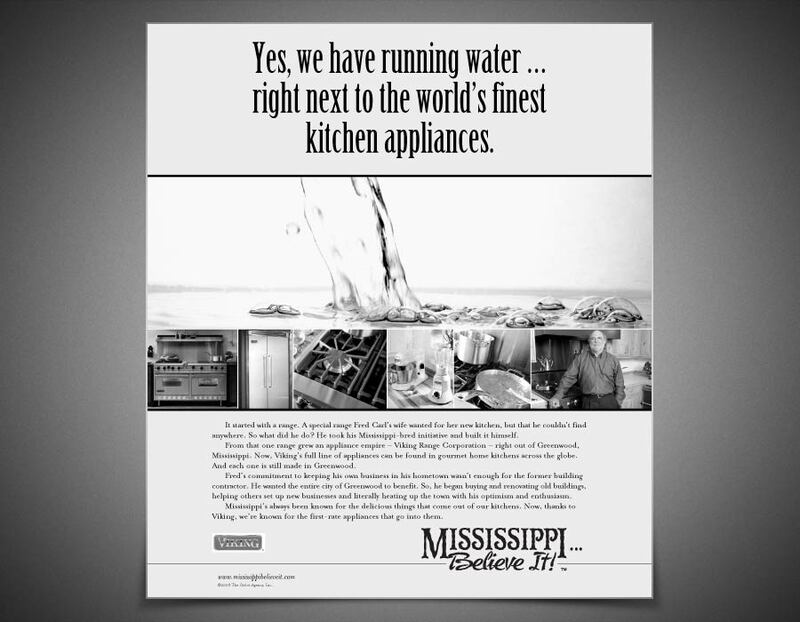 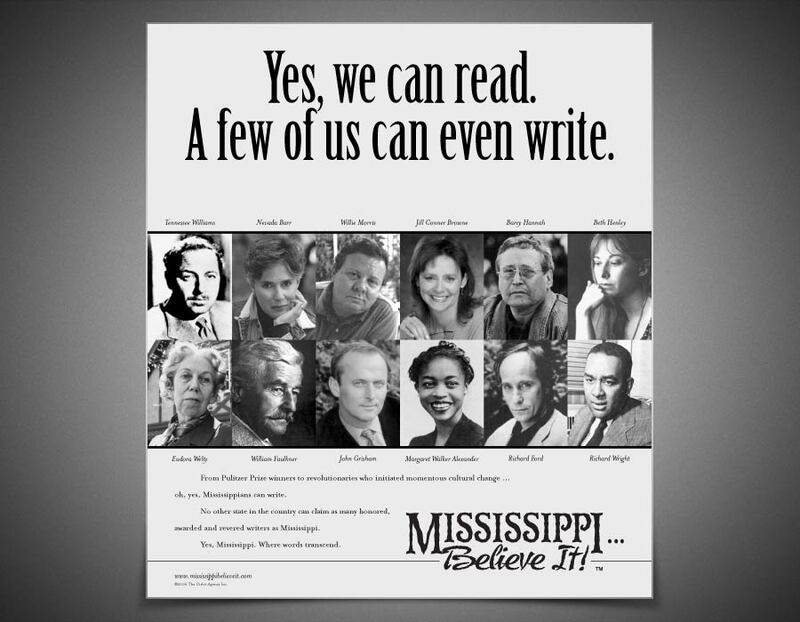 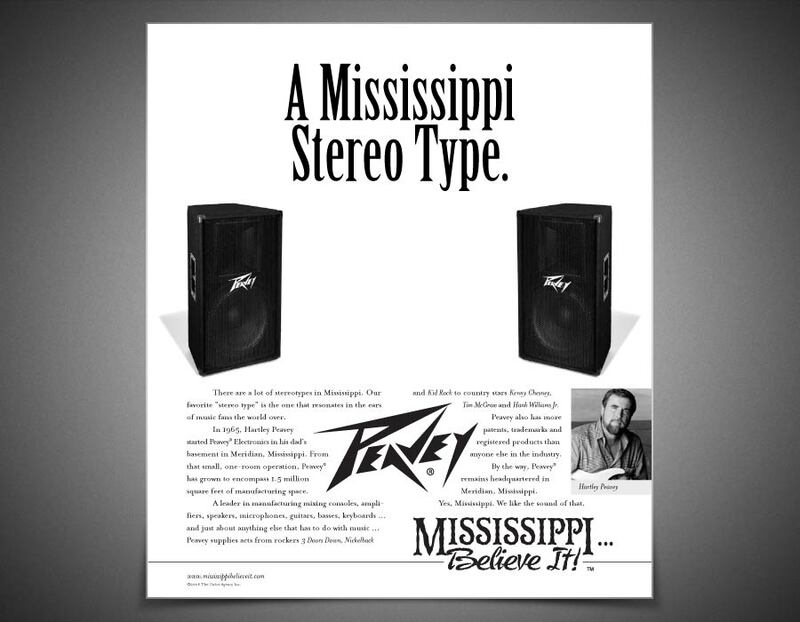 To date, Mississippi, Believe It!™ has reached an estimated 120 million people worldwide, which is equivalent to $20 million dollars in advertising. 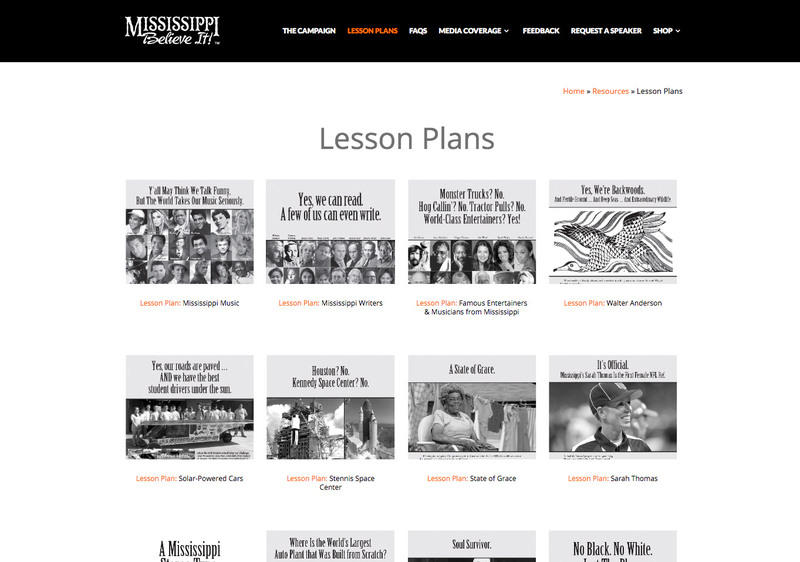 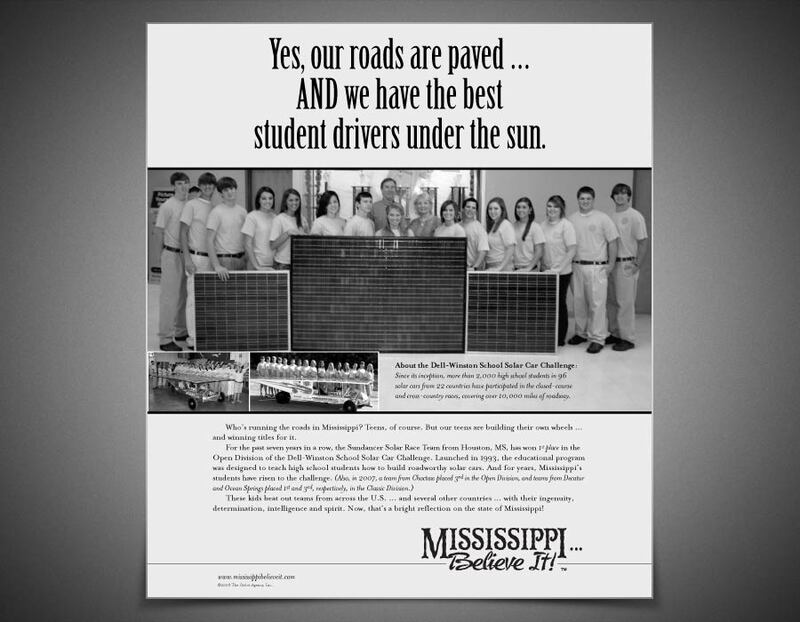 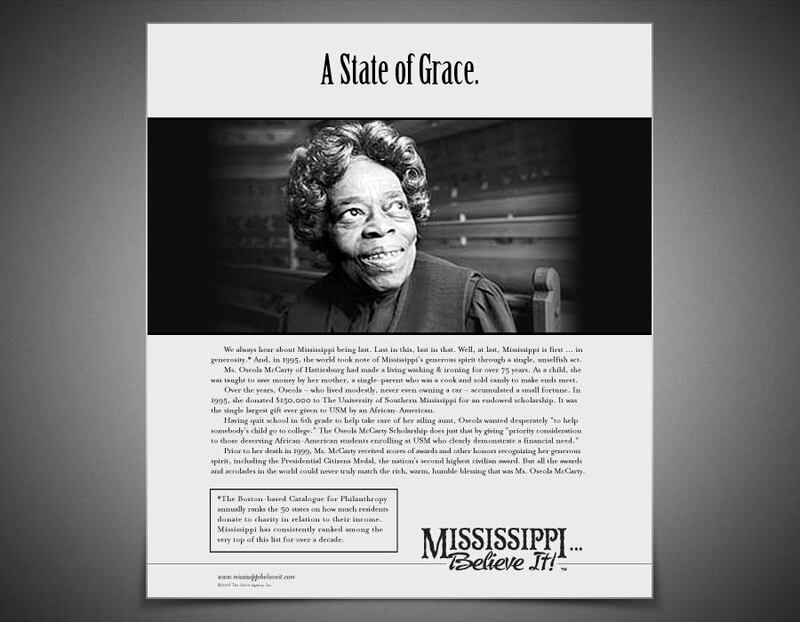 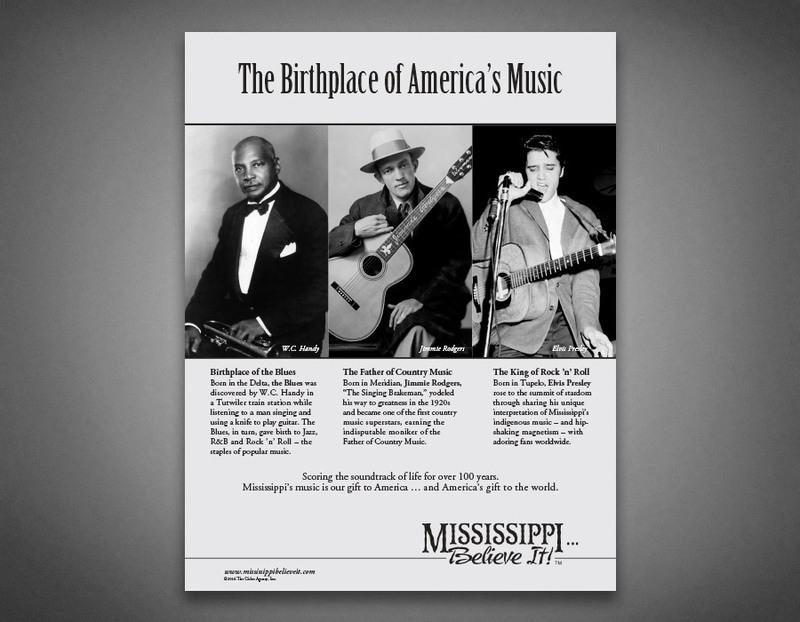 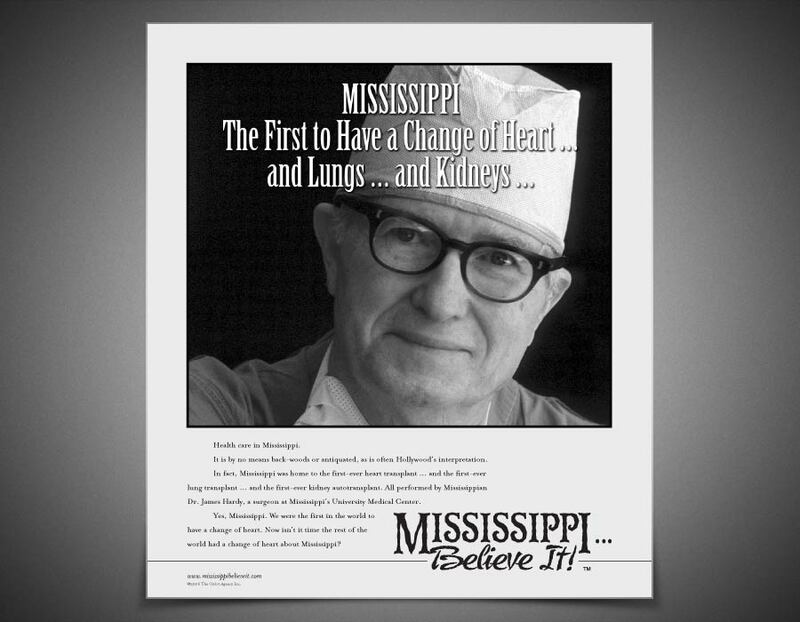 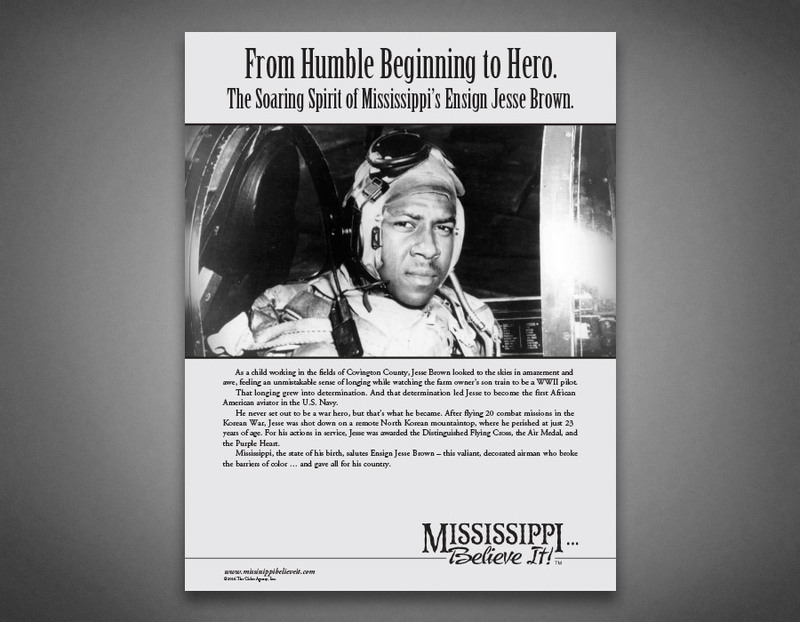 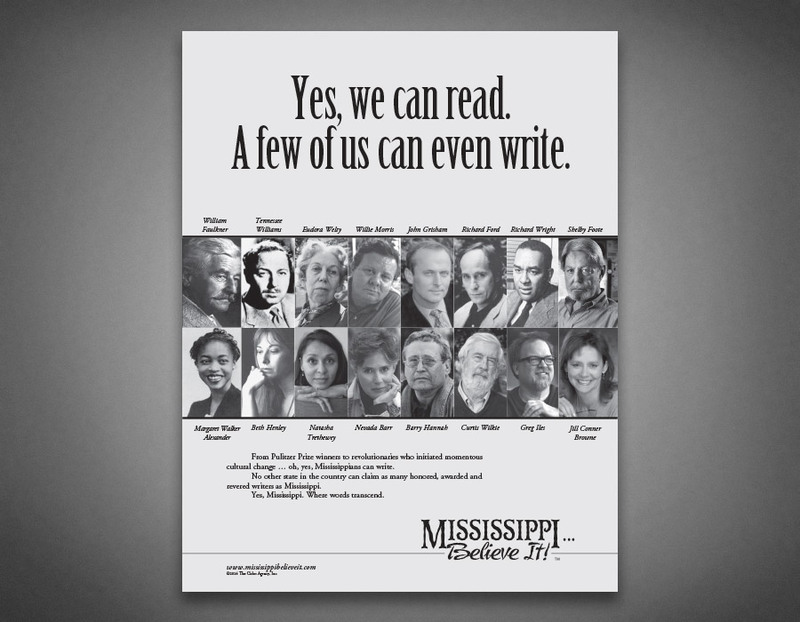 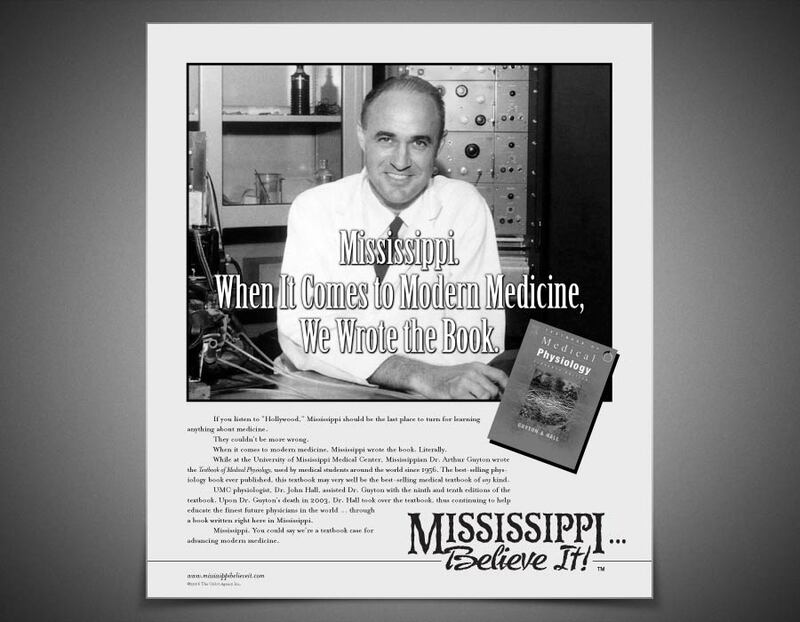 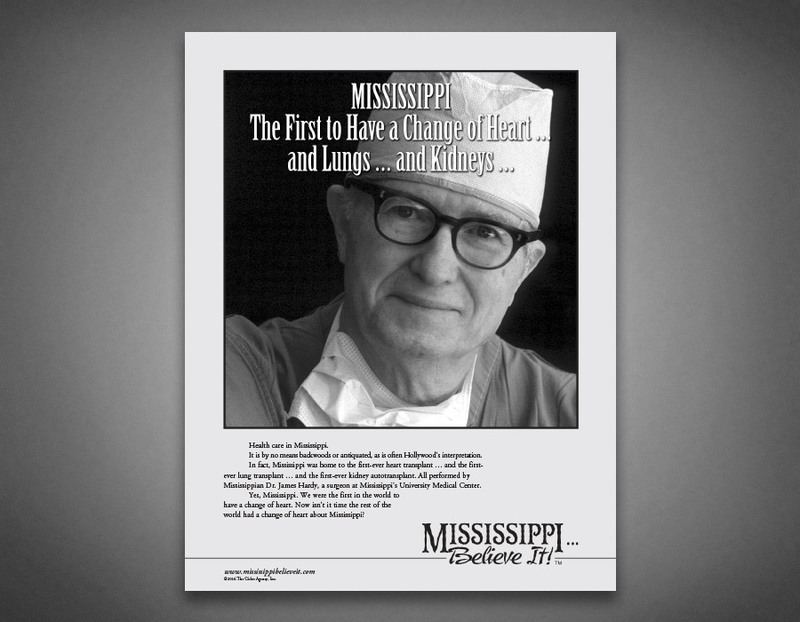 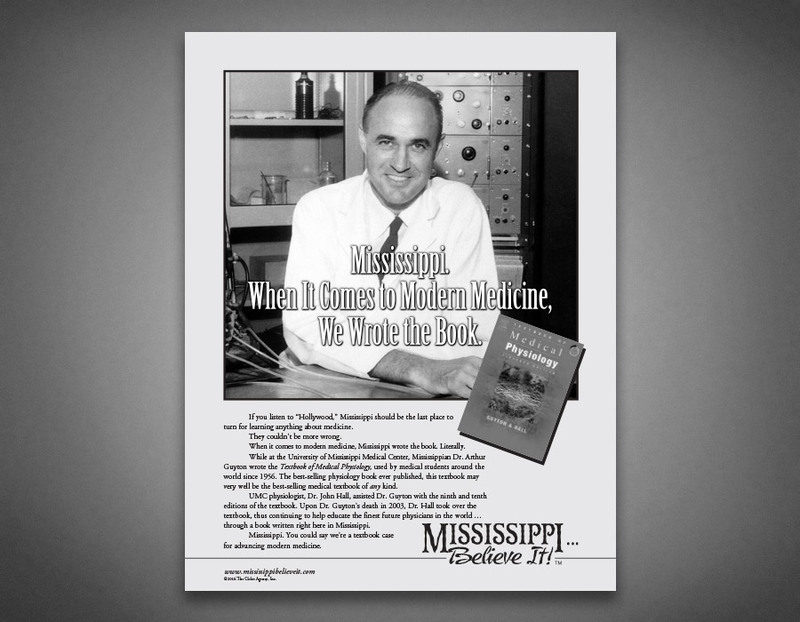 The campaign was showcased at the 2008 Governor’s inauguration, is on display at the Jackson-Medger Wiley Evers International Airport and was recently added to a textbook used in Mississippi schools.